Vedaa CMS (VTS) provides analysis services designed to help you with your Predictive and Proactive Maintenance programme. Owing to the presence of our expert team members, we have been able to provide Transformer Oil Condition Monitoring (Transformer Condition Monitoring Testing ). Condition Monitoring through Oil Analysis is very good practice undertaken by various industries to monitor their Machines and Equipments. Oil Content Monitor is a low cost solution to simple cooling water monitoring applications. The SKF aptitude Monitoring Suite forms the basis for a completely integrated approach to condition monitoring, permitting fast, efficient and reliable storage, manipulation and retrieval of large amounts of complex machine and plant information. Condition monitoring, a unique process of closely examining a parameter in machinery so as to identify any significant changes indicative of a developing fault avoidable through predictive maintenance. It provides a complete analysis of the health of any machine. Kittiwake Developments Ltd. UK, global leader in providing products to monitor the condition of the Fuel or Lubes used in the engines, turbines and the other rotating equipments. Among Viscosity, Total Acid Number (TAN), Total Base Number (TBN), Water in Oil and insoluble a host of other parameters can be monitored in the field. 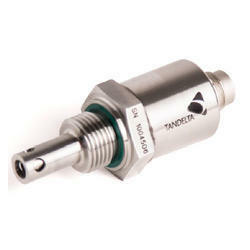 Online sensors are also available to monitor the condition of oil. It is estimated that between 40 and 60 per cent of today’s diesel engine failures are related to cooling system performance.